Hibernate is the ORM tool widely used in java community to persist the java object using Object Relational Mapping (ORM) concept. ORM reduces number of lines to interact with database with optimized query language which is Hibernate Query language (HQL). Select the tool and click on “Next”. Do not select all the tools; it will install all the unnecessary tools. We just need hibernate tools. After installation, restart the eclipse. If you don’t have the internet connection and want the offline method to add hibernate tools in eclipse. 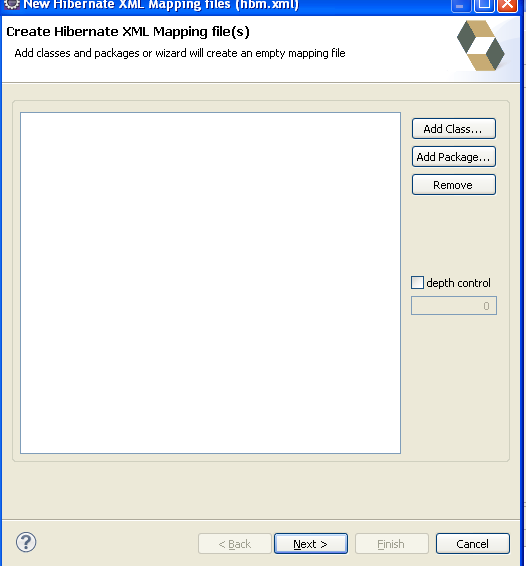 To install the Hibernate Tools, extract the HibernateTools-3.X.zip file and move all the files inside the features folder into the features folder of the eclipse installation directory and move all the files inside the plugins folder into the plugins folder of the ecilpse installation directory. After restart, Go to Window | Open Perspective | Other, the following dialog box appears, select Hibernate and click the Ok button. Now let’s see how to define the object/relational mapping using the XML document. This document has .hbm.xml extension. We will now create the mapping between table and object of entity “user” which hold the data from database. So create the package "in.shivasoft.pojo" in src folder. 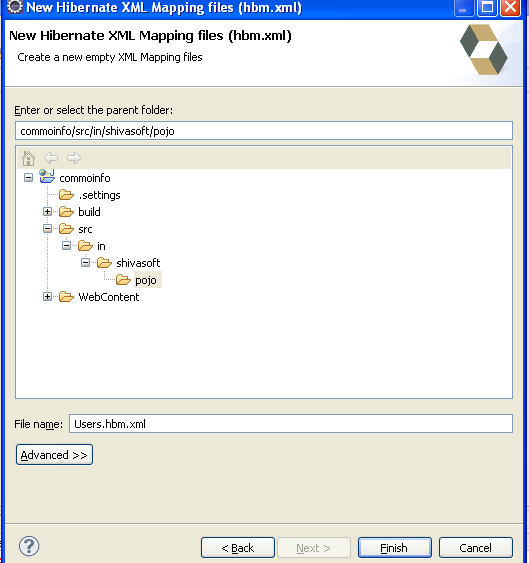 Right click on project folder and select “Hibernate XML Mapping file (hbm.xml)“. Then one popup will appear, click on “Next”. Select the pojo folder and give name “Users.hbm.xml” and click on finish. 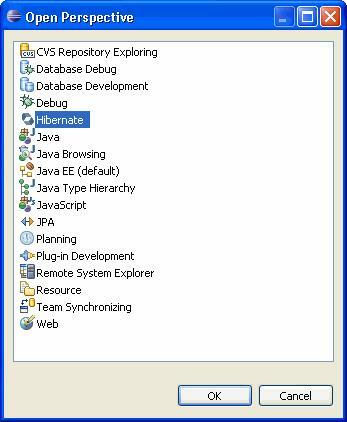 Now right click and select “hibernate configuration file”. One window will open, there select the “src” folder and click on next. Enter detail like below screen and click on finish button. After this add the Users.hbm.xml file to the newly generated xml configuration. After the entire configuration, in the toolbar you can select “hibernate code generation tool”. 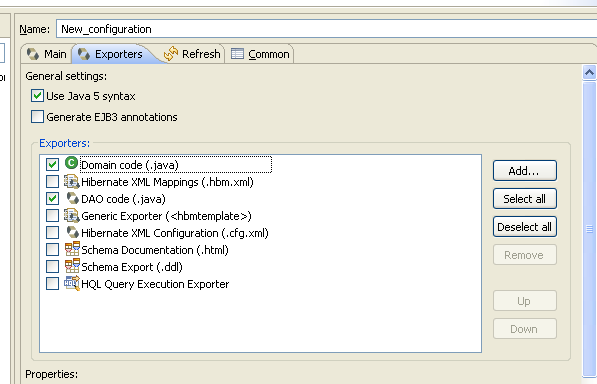 Now select the Exporters tab and select “Use Java 5 Syntax”. 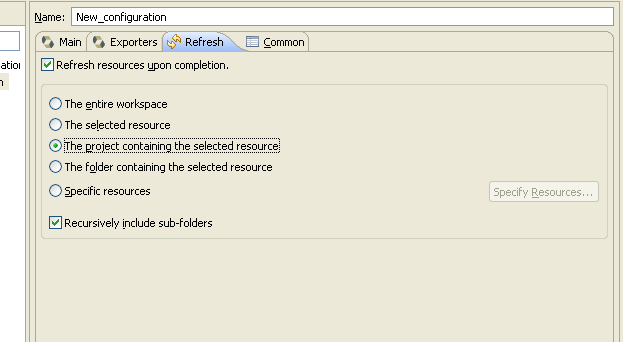 In refresh tab, select “The Project containing the selected resource“. class. The HibernateUtil class helps in creating the SessionFactory from the Hibernate configuration file. The SessionFactory is threadsafe, so it is not necessary to obtain one for each thread. Here the static singleton pattern is used to instantiate the SessionFactory. The implementation of the HibernateUtil class is shown below. Thanks Rapeepan for reading and comment. can you please explain in detail that when u get error and on which line.. or console log of the error so that i can help you. Hi Jitendra one question out of context actually…..i m trying to store a mobile number as 9999829215 bt it is stored as 1409894623 can u help…? Check the data type in java you are using. It may be out of range and there fore shift its value on scale. Try to make them as a number datatype in mysql and String in java. It will work perfectly. nice article. I have one inquiry, you mentioned at the end of the article ‘Needed jar files’. Are these jars needed to be added explicitly even after the installation of Hibernate Tools ? 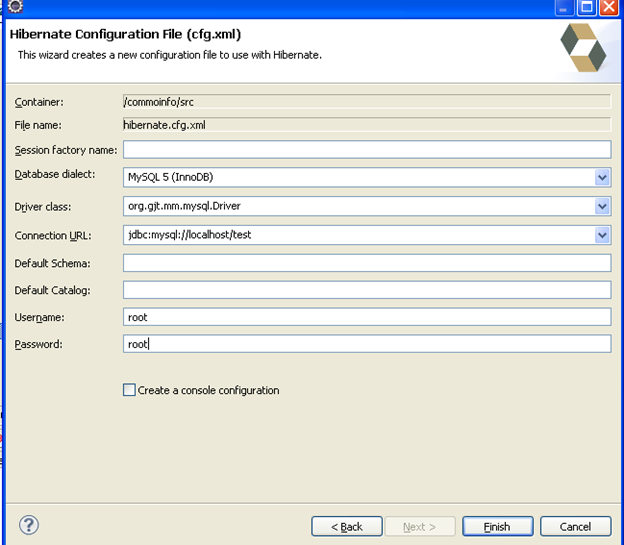 just go to file ->new -> hibernate console configuration and then follow the steps. Can you please give us instruction or demo for reverse engineering for eclipse and hibernate platform. and also tell me which approach is good reverse engineering or any other..
just adding to the last request can we create entire jsf page from the generated hibernate code in eclipse? Thanks Kaushal for posting about console configuration file. 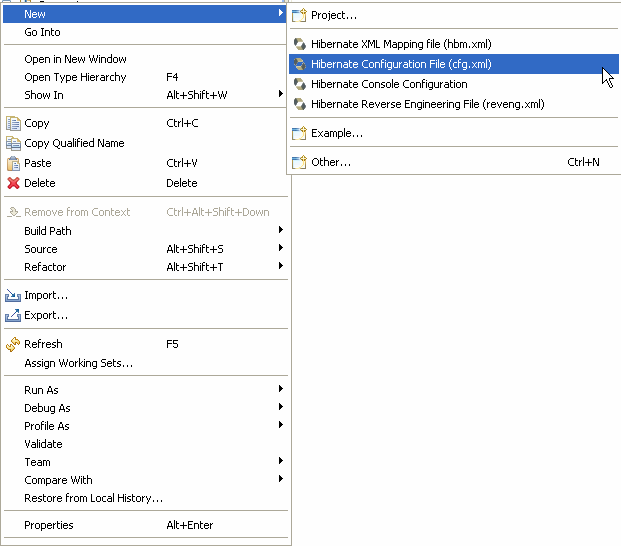 Yes,You were right,actually there is no console configuration file for Hibernate….hope you see this post of mine.Now i was again trying this example it asks for a property file when we chooose New->Hibernate Console Configuration File.so at this point what are we supposed to mention for the property file…i mean an existing file is to be choosen or create new file.if we create or use existing….wat actually this property file meant for…? and in this case( Example above ) how to use that. this class is imported by which jar file? It Needs “Struts” jar file. I have done everything step by stepy but I have this error when i run this code..